A biome is an ecological community operating together in harmony. 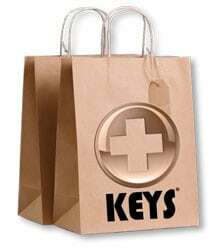 Since we began Keys, we have treated the skin and its flora as a biome or eco-system. Reflex ProBiome feeds the community offering functional nutrients for the skin and friendly flora. Chemicals in skin care products destroy the skin’s flora and create imbalance on the skin. Reflex ProBiome is designed to restore the balance and make skin look remarkable. or wrinkle solutions. Besides our confidence in Reflex ProBiome performance, it is completely made from natural unmodified ingredients. The secret of Reflex ProBiome is the combination of natural ingredients, the quality of the ingredients and the fact that all ingredients are whole and functional. Functional ingredients are those that are not over-processed and contain the whole properties from nature. Functional ingredients are on purpose and perform needed features and benefits to maximize skin appearance, hydration and skin health. Reflex ProBiome is made from the purest organic oils assembled to replicate the skin’s own sebum while offering tetrapeptides, triglycerides, fatty acids, quadracarotenoids and nutrients that affect skin cell shape and health. Combining Organic Virgin Avocado oil, Organic Virgin Tamanu oil, Shea oil, ancient renowned Black Seed oil, Bergamot essential oil and the undisputable performance of Carrot Seed oil with our own Miras organic extract makes Reflex ProBiome a functional anti-aging product that is created from pure natural ingredients. The only tangible gauge of a product’s performance are the results! All the marketing hype, before and after advertisements and claims of other wrinkle serums, creams and toners are just that…hype. More, many products that do actually perform contain either fabricated synthetic ingredients, hormones, modified stem cells or hydroxyl acids to name just a few permutations.